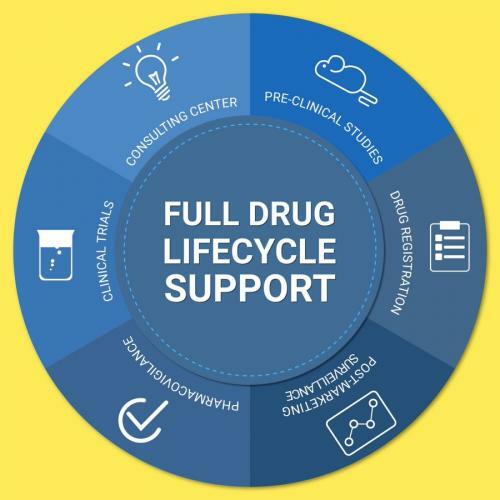 Smooth Drug Development offers a full range of clinical trial and drug registration services, including consulting, development of registration strategy and conduct of pre-clinical and clinical trials. We work in Russia, CIS, Baltic States, Hungary, Slovakia and Croatia. Drug development is a complex process and every aspect can have an impact on the final result. This process involves different parties and a large team of specialists. Harmonization of their work determines marketing authorization of product on time and at planned costs. Our company implemented the principle of "one stop service" when all activities from planning to product registration are performed consistently under the control of a team of professionals. According to the requirements of ISO 9001, in case of outsourcing of vendors such as translators, laboratories, warehouses, couriers and investigational sites, we manage their activities as our ones and are fully responsible for the results. Our Clients are leading pharmaceutical, biotech and R&D companies. Our Customers are located in Russia, Europe, US and Asia-Pacific region.